Found in Broward County, Florida, about 20 miles to the northwest of Fort Lauderdale is Coral Springs. It's officially called the City of Coral Springs and has a population of about 128,000 residents. The city is a part of the Miami Metro area, which has a population of about 5.6 million residents. Along with the residents found in Coral Springs, the area sees plenty of tourists every year. The close proximity to Miami and short drive to popular South Florida beaches makes it a hot spot for visitors. The mixture of tourists with regular residents creates a mixed bag of driving styles and adds many drivers unfamiliar with the area roads. About 26,000 traffic accidents happen on a yearly basis in Broward County. Many of the accidents lead to injuries with about 200 fatalities from car crashes every year in the county. Highway 869 runs through the area and it's one of the busiest highways in Coral Springs. The County also includes a portion of Interstate 95, another very busy highway within the area. I-95 is actually known as one of the most deadly highways in the United States. Traffic accidents in both Coral Springs and Broward County are on the rise. If the law enforcement agencies found within the area were unable to enforce traffic rules, more accidents would likely occur leading to more deaths and injuries. Broward County drivers received more than 195,000 traffic citations in 2015. About 96,000 of those citations were given to drivers speeding, while more than 18,000 were given to careless drivers and another 15,000 to those deciding to run through a traffic signal or stop sign. If you don't want to end up with a suspended driver’s license in Coral Springs, you may need to take a basic driver improvement course or traffic school. The course will help you protect your license from points resulting from receiving a traffic citation. After receiving a traffic ticket, you will need to pay the fine and inform the clerk of the court you plan to attend traffic school. Then, enroll in Coral Springs traffic school online and complete the course. You will receive a certificate of completion, which you will need to turn into the clerk of the court. If you do this, you will avoid any points added to your license and keep your insurance rates from going up. It doesn't take many traffic citations to result in a suspended license. If you receive 12 points over a 12 month period, you will receive a 30 day suspension. After accruing 18 points over 18 months, your license will be suspended for 90 days. If you receive 24 points in 36 months, you will lose your license for an entire year. 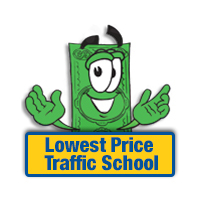 Traffic school will allow you to avoid points on your license or having to pay reinstatement fees after a suspended license. If your license is suspended, you don't want to get caught driving. Driving on a suspended license in the State of Florida is punishable by up to 90 days in jail and an additional $500 in fines. If you want to enroll in traffic school and avoid points on your license, you cannot have completed the course in the past 12 months or more than 5 times in your lifetime. 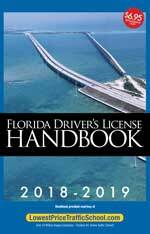 The State of Florida allows all drivers to use the course up to five times in a lifetime and up to once per 12 months to avoid points on a driver's license. Make sure you check your eligibility with the clerk of the court, if you're unsure. Payments and information for any traffic citation, issued by any branch of law enforcement in Broward County is handled by the Clerk of the Court. You will need to pay your ticket with the clerk and inform the clerk you plan to take the basic driver improvement course. If you have any questions or need more information about the Broward County Clerk of the Court, you can find out more information on their website.